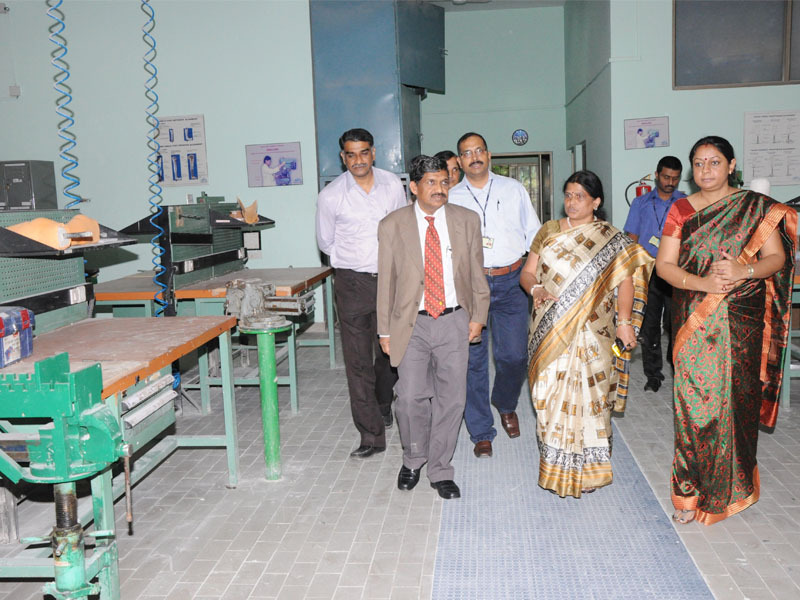 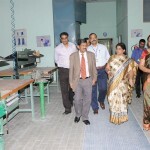 Dr KS Ravindranath, Vice Chancellor, Rajiv Gandhi University of Health Sciences take a look at the Prosthetics and Orthotics workshop of MI. 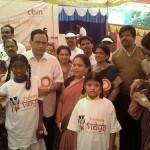 Accompanying him are Mr Soikat Ghosh Moulic, Ms Albina Shankar and Ms Ritu Ghosh. 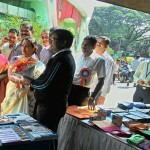 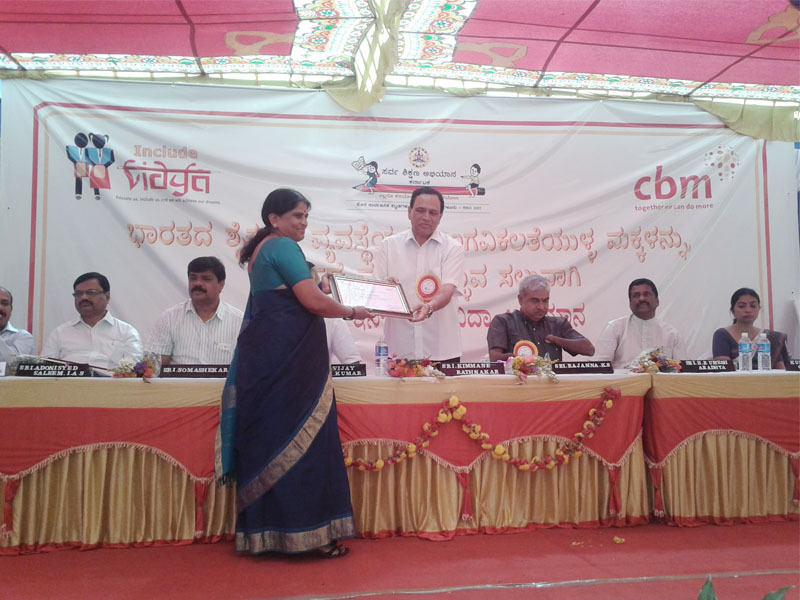 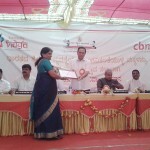 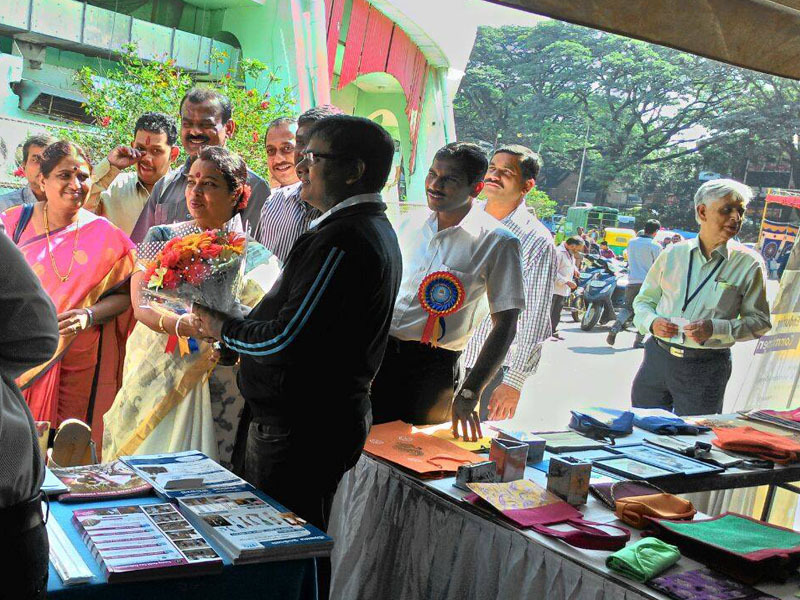 Ms Albina Shankar, Director MI receives token of appreciation from Mr Kimmane Rathnakar, Honourable Minister of Primary and Secondary Education at the Include Vidya Campaign at Bengaluru. 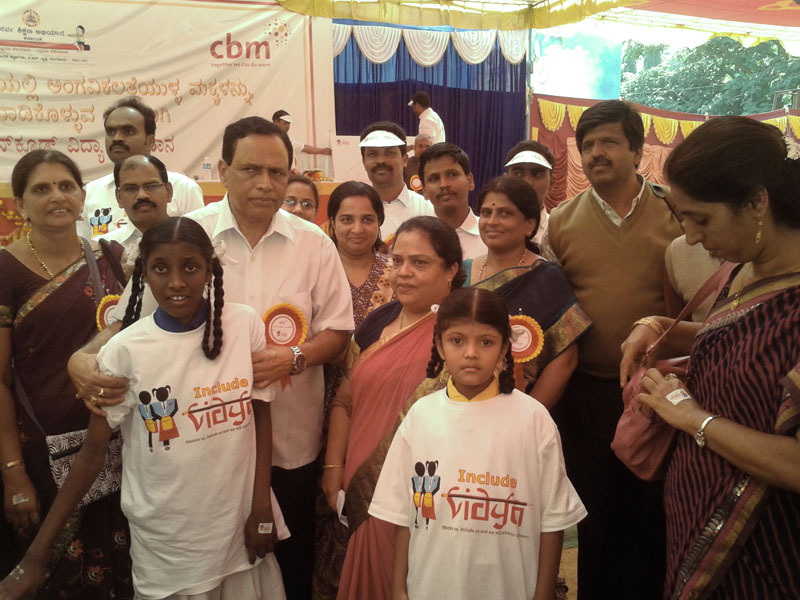 Smt Umashree, Minister of Women and Child Development interacting with Mr Rajnish Choudhary, Programme Manager, Promotion and Development, MI at Kanteerva Stadium on World Disabled Day on December 03, 2014.